"These work perfectly for me especially in the Guns N’ Roses scenario where I’m using sort of a low gain amp with more of a higher gain amp and Slash is playing Les Pauls and this (Falcon) seems to really balance that nicely. It adds a lot of low end and top end and brightness and charm to the guitar but still really heavy, and I have not had any issues with feedback. It’s been great. They’re incredibly powerful and cut through a mix really well and the way they frame other guitar tones is really cool. They really work well together." As kids, most of us were surely asked multiple times what we wanted to be when we grew up. Whether or not we remember any of those answers is probably a long shot. But for Guns N’ Roses guitarist Richard Fortus, he can still vividly recall one moment when he swallowed his real answer. And so he has. Since founding his first band in 1984 (The Eyes/Pale Divine), the St. Louis-bred musician has been part of the Psychedelic Furs, Love Spit Love, the Dead Daisies, and toured with Guns N’ Roses over the last 15 years. 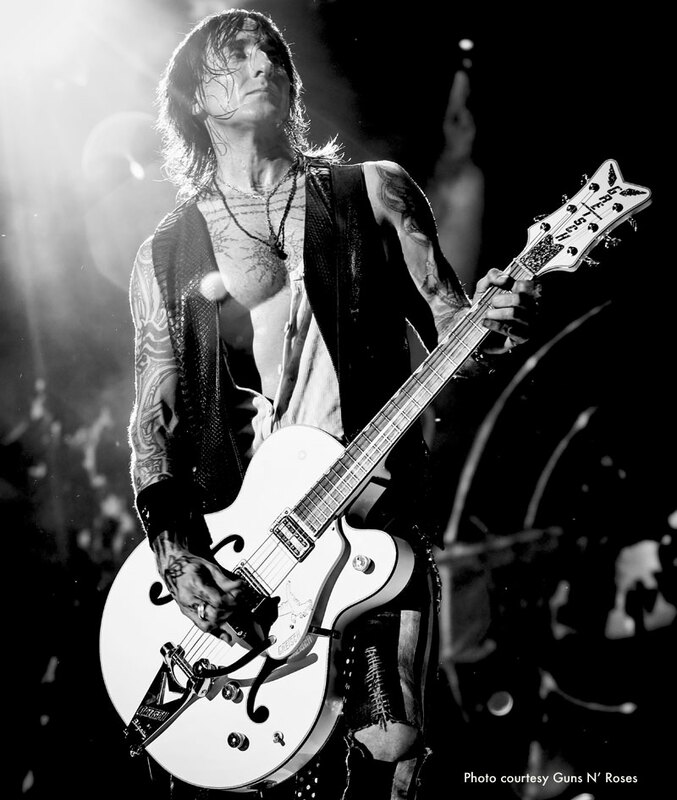 Find out what else Fortus had to say about his Gretsch guitars in this exclusive, wide-ranging interview! GUNS N' ROSES ON TOUR NOW!